Hunter x Hunter: Greed Adventure – Utilizing the already existing content of the anime to produce the game is one of the most brilliant pieces of the game. The Japanese studio. Because the films were made in the country and they were the first to come in contact with it. So it is quite wasteful to have such content for foreign players. Besides, there is a famous producer in this country, the Bandai Namco, which is supporting the production of anime and a huge game studio. So they make the most out of their resources to create products that appeal to players. 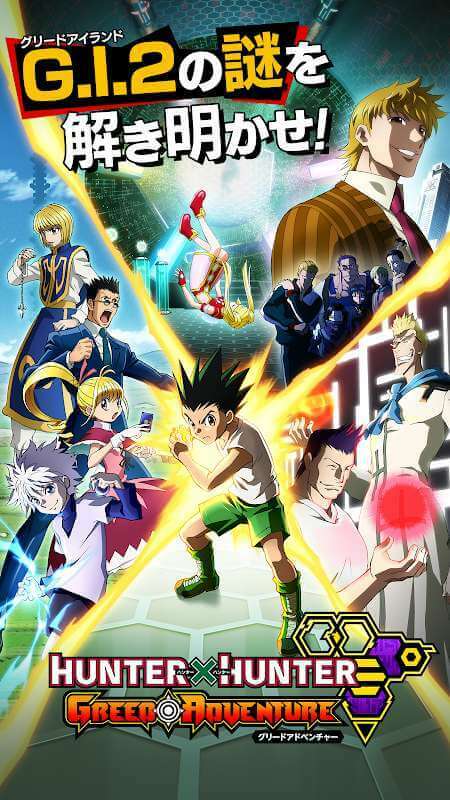 Hunter x Hunter: Greed Adventure is their new launch. Perhaps you have known the brand Hunter X Hunter famous for many years. Many studios have produced game ideas from here and are very successful. Earlier this year, the Chinese game maker Tencent had a product derived from the game and had a certain number of fans. 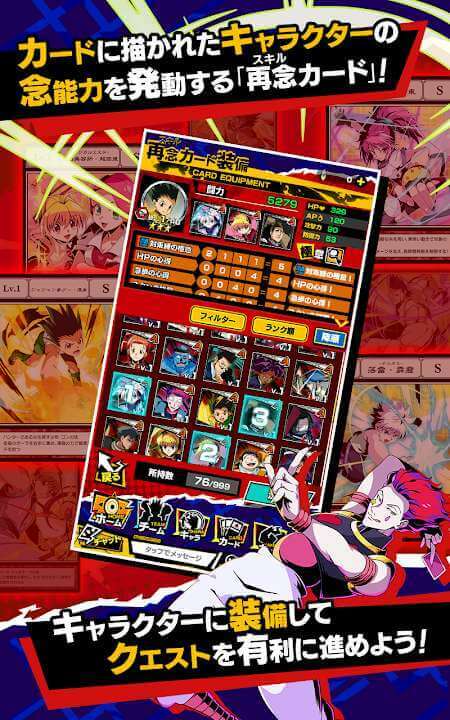 This is the turn of the Japanese manufacturer to give the player a role-playing game to get the card game mechanism. Simple gameplay with a well-known character system will quickly reach the market. Now the new chat is in the pre-registration state so players will not be enjoying it right away. However, some gamers have been able to test it with the Beta version. Everything about gameplay as well as the image of the game is so clear. Currently, the game is not supported in the English version only in the Japanese version only. Hopefully, in the future, it will have an update for the global players. 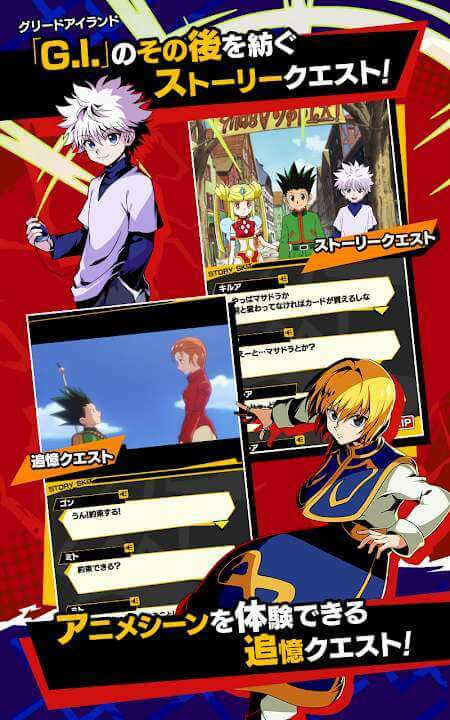 Hunter x Hunter: Greed Adventure does not set the story system starting from the starting point of the character. This story starts with Gon getting past the challenge in Greed Island. But something unexpected happened that made things start to change. Hunter Association intervened and made Greed Island evolve into Greed Island 2. What would this evolution bring to the player? During the game, there will be flashbacks to the scenes from the series. Gameplay is straightforward when you just use one finger to control everything on the screen. Because it’s actually a card game, you just touch the avatar of the character to control them. However, a battle will take place in the style of a typical role-playing game. 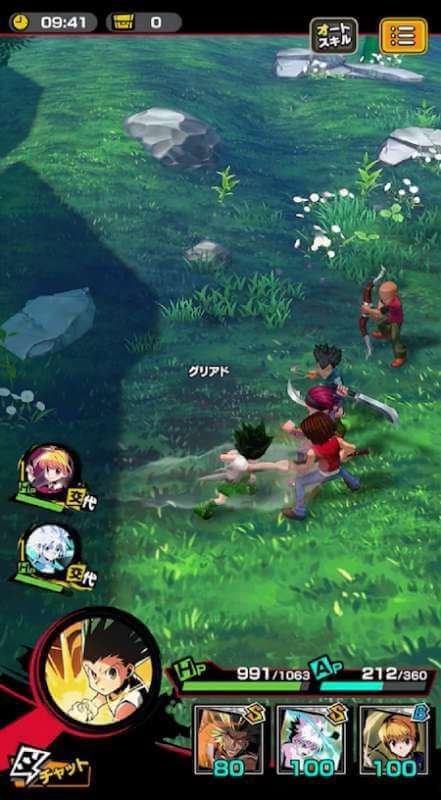 With 3D graphics and characters that can move freely on the map, players will participate in a battle along with skills upgraded with Skill Cards. Take advantage of all the abilities of the character along with the cards that match the nature of the character.